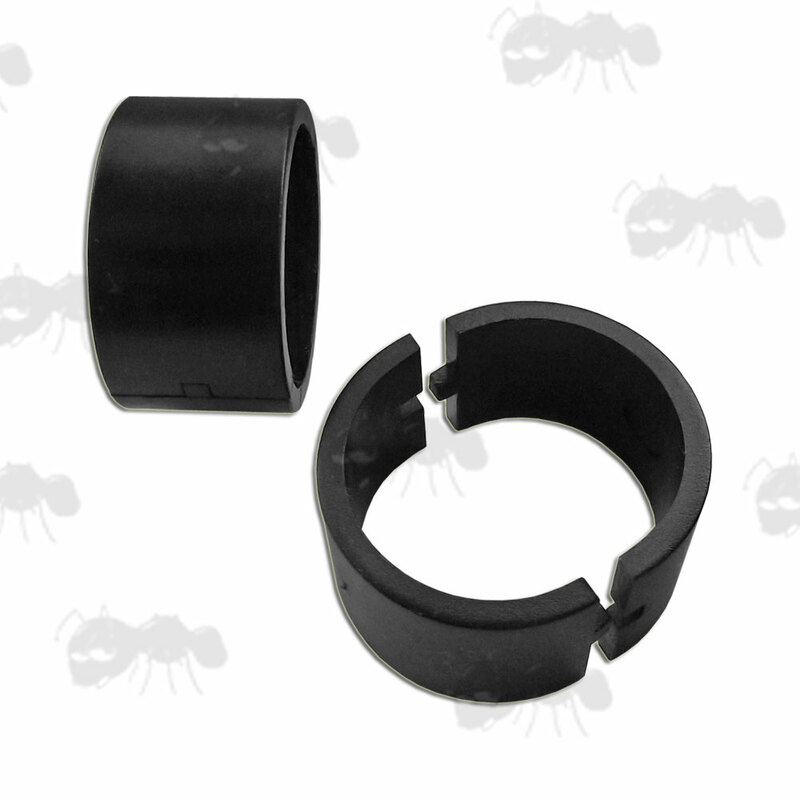 A quick and economical solution for adapting your 30mm ring mounts to accept 25mm diameter scopes / flashlights / laser mounts. Next > Metal Ring Adapters. The pair option is for two complete rings. 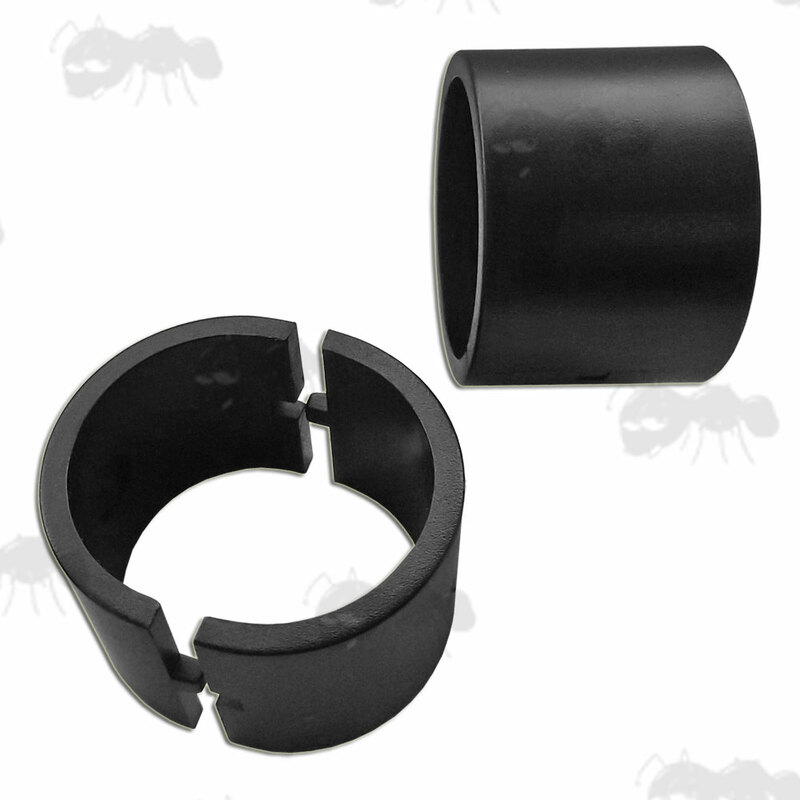 For downsizing 30mm diameter scope rings to 25mm. Split design for easy installation. Approx weight ~ 2 grams. Each complete ring weighs ~ 7 grams. Each complete ring weighs ~ 14 grams. 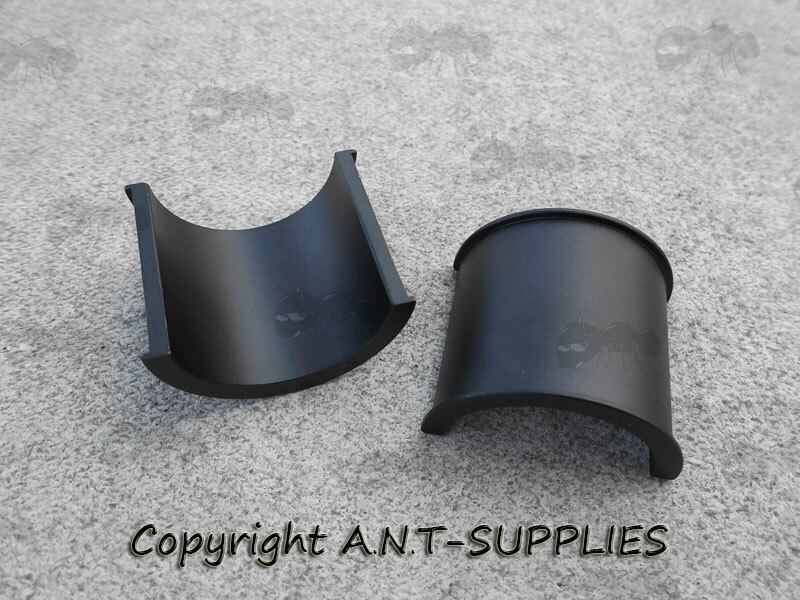 They fit up to 25.7mm thick mounts. 27.5mm thick overall (with lip). 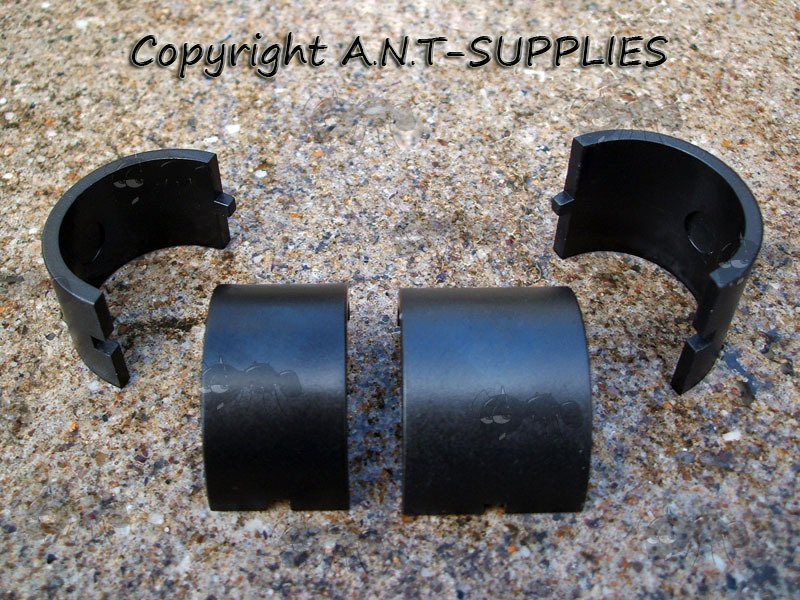 The default option is for one adapter (one complete ring), you would need two for a pair of scope mounts.